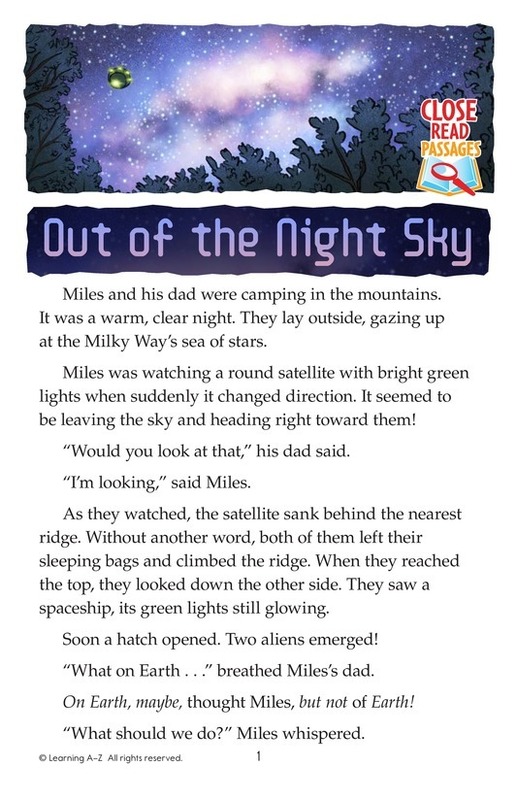 Miles and his dad are amazed when a UFO lands near their campsite and two aliens emerge. They assume the tall alien is the adult and the small alien is the child. 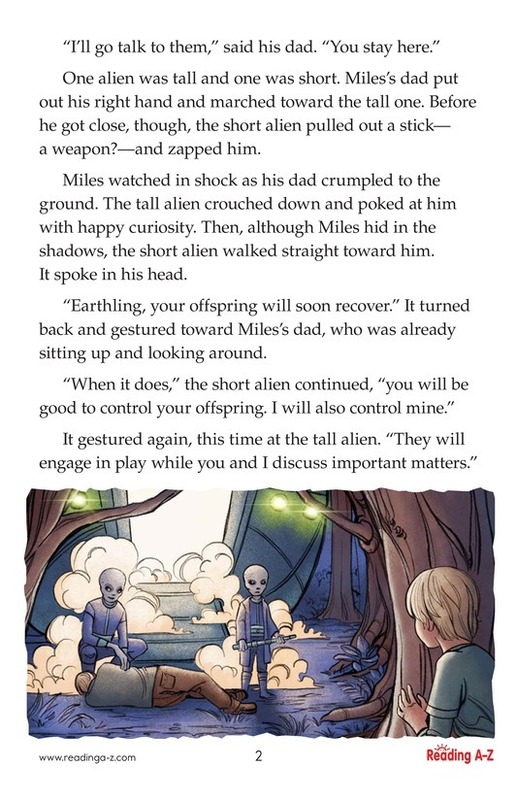 When the aliens assume just the opposite about Miles and his dad, confusion ensues.